The P-40M Mechanical is Available Now for Early Pre-order. Pre-order Early & Save; Price Increases 05/11/19 to $439. Full Price $519. Shipping Aug/Sept 2019. Include a free museum membership to the Tri-State Warbird Museum (Membership will ship separately). Created in partnership with the Tri-State Warbird Museum; a portion of every sale benefits the restoration & preservation of WWII Aircraft. 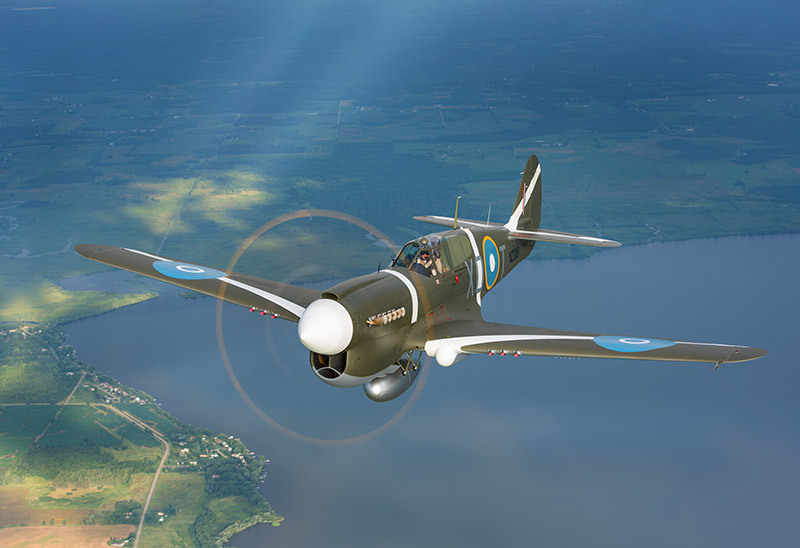 Find out more about the P-40, the Oshkosh Grand Champion P-40M Restoration, and the Tri-State Warbird Museum. Nearly as hard as a diamond on the Mohs hardness scale. Sapphire is the best and most scratch resistant material available for a watch crystal. 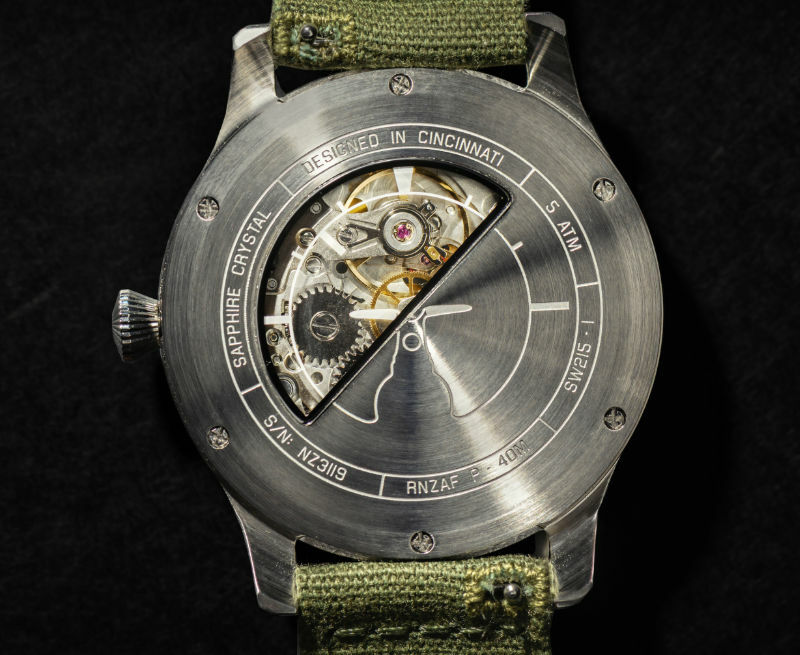 The P-40M Watch features a Swiss 19 jewel hand winding movement by Sellita. The P-40M Mechanical watch is made of 316L stainless steel and is 40.5 mm. P-40M Pen by Opus Mechan luxury writing instruments. This pen is hand casted in resin and uses a smooth writing ballpoint cartridge by Schmidt Technology. 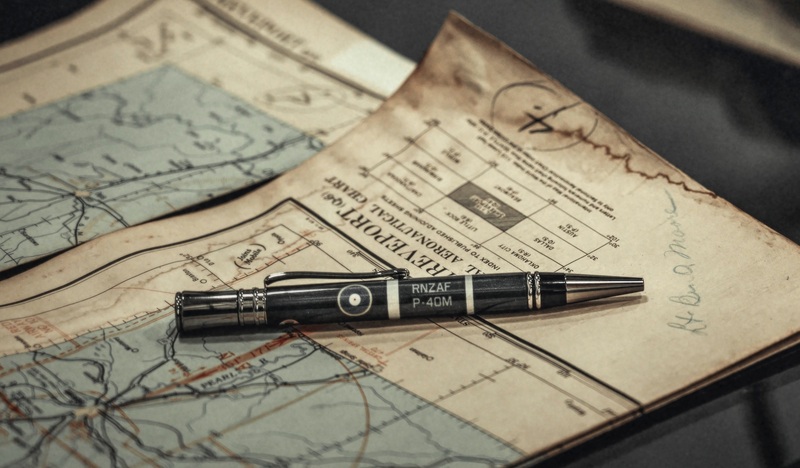 The pen features markings from the P-40M restored by the Tri-State Warbird Museum. A perfect companion to the P-40 Mechanical Watch! A portion of the pen sale is also donated to the Tri-State Warbird Museum.